For anyone who has difficulty climbing stairs, elevators and stair lifts are beneficial. Stair lift elevator systems are typically built into a shaft and operate within an enclosed space using cabins. 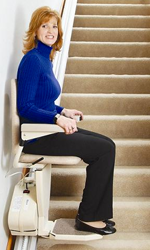 Stair chair lifts are normally set up along a rail attached to a stair case. Whether you choose a stair lift elevator or a basic stair lift is a decision that must be made based on the structure of your stair case, your budget, and the user. 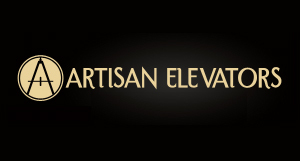 Stair lift elevators add comfort and convenience to your home but they are more expensive than stair chair lifts. You can install an elevator if your home is spacious, and you want a durable and permanent accessibility device for your home. Stair lift elevators are ideal for family members who use a wheel chair and want the least challenging type of mobility device. Chair stair lifts are ideal for homes with space constraints that don’t permit the installation of a stair lift elevator. They also provide service without much structural modification of a stairway. Indy Stair Lifts, a division of Nationwide Lifts, offers a variety of residential stair lifts that make your home more accessible. From helping you get up the porch to accommodating a narrow staircase, our residential stair lifts make getting around the home easier. We have a large selection of high quality stair lifts backed by a comprehensive warranty, including models for curved or narrow staircases. We offer two models built specifically for narrow staircases and the Indy Curve model for curved staircases. We have trained technicians to install our stair lifts, assuring they will fit your stairway perfectly and accommodate the individuals who will use them. We’re eager to help you with your stair lift needs. Please call us at 800-203-5754 for more information about the best Indy Stair Lift model for your home.